Alec Cobbe will give a tour of the Cabinet of Curiosities (not the instruments). 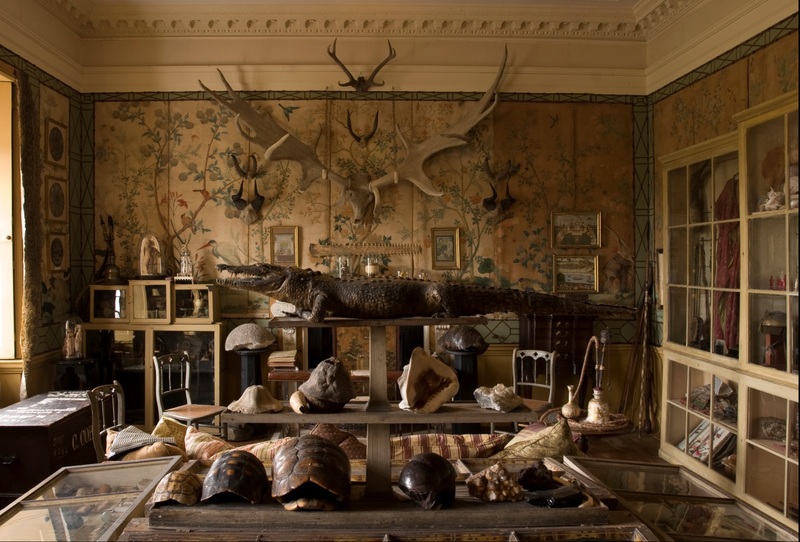 The Cobbe family museum, now at Hatchlands but originally from Newbridge House, Co. Dublin, is a rare 18th century cabinet of curiosities that survives in its original display furniture. Among the approximately sixteen hundred objects are naturalia, exotica, fossils, rocks and minerals, shells, insects and butterflies. Due to limited space this tour will be limited to 20 places. Coffee and biscuits on arrival, in the Dining Room, are included in the ticket price. during which juice and wine are served. Wheelchair access available. Please advise in advance. Please note that tickets cannot be exchanged nor money refunded. Tickets to recitals and concerts do not include free admittance to the house. We reserve the right to refuse admission and change the programme and/or instrument without notice. It may not always be possible to admit latecomers to the Music Room. Stiletto heels should not be worn.